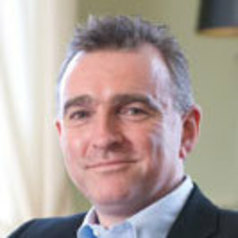 Professor Liam Kennedy is Director of the Clinton Institute for American Studies at University College Dublin. He has diverse research interests and teaching experiences, spanning the fields of American cultural and media studies, globalisation and Irish-US relations. He is the author of Susan Sontag: Mind as Passion (1995) Race and Urban Space in American Culture (2000) and Afterimages: Photography and US Foreign Policy (2016). He is co-editor of Urban Space and Representation (1999) City Sites: An Electronic Book (2000), The Wire: Race, Class and Genre (2013) and The Violence of the Image (2014), and editor of Remaking Birmingham: The Visual Culture of Urban Regeneration (2004). Professor Kennedy's work is interdisciplinary, blending cultural and political modes of scholarly analysis, and represents American Studies as a valuable framework to study both American domestic and international affairs. He is currently researching a monograph on globalization and American culture, and preparing two edited books - on neoliberalism and American literature and on diaspora and diplomacy.